To make informed decisions during flight operations, a pilot must also become aware of the resources found inside and outside the flight deck. Since useful tools and sources of information may not always be readily apparent, learning to recognize these resources is an essential part of ADM training. Resources must not only be identified, but a pilot must also develop the skills to evaluate whether there is time to use a particular resource and the impact its use has upon the safety of flight. For example, the assistance of ATC may be very useful if a pilot becomes lost, but in an emergency situation, there may be no time to contact ATC. During an emergency, a pilot makes an automatic decision and prioritizes accordingly. Calling ATC may take away from time available to solve the problem. Ironically, the pilot who feels the hourglass is running out of sand would be surprised at the actual amount of time available in which to make decisions. The perception of “time flying” or “dragging” is based upon various factors. If the pilot were to repeat the event (in which time seemed to evaporate) but had been briefed on the impending situation and could plan for it, the pilot would not feel the pressure of time “flying.” This example demonstrates the theory that proper training and physiological well-being is critical to pilot safety. Figure 6-7. When possible, have a passenger reconfirm that critical tasks are completed. Providing information in an irregular situation, especially if familiar with flying. A strange smell or sound may alert a passenger to a potential problem. Confirming after the pilot that the landing gear is down. Learning to look at the altimeter for a given altitude in a descent. Listening to logic or lack of logic. Also, the process of a verbal briefing (which can happen whether or not passengers are aboard) can help the PIC in the decision-making process. For example, assume a pilot provides his passenger a briefing of the forecasted landing weather before departure. When the Automatic Terminal Information Service (ATIS) is picked up at the destination and the weather has significantly changed, the integration of this report and forecasted weather causes the pilot to explain to a passenger the significance or insignificance of the disparity. 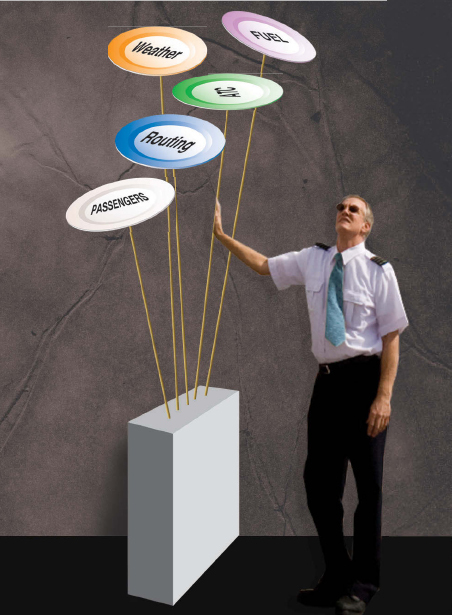 The pilot must provide a cohesive analysis and explanation that is understood by the passenger. Telling passengers everything is okay when the weather is ¼ mile away is not fooling anyone. Therefore, the integration of briefing passengers is of great value in giving them a better understanding of a situation. Other valuable internal resources include ingenuity, solid aviation knowledge, and flying skill. When flying alone, another internal resource is verbal communication. It has been established that verbal communication reinforces an activity; touching an object while communicating further enhances the probability an activity has been accomplished. For this reason, many solo pilots read the checklist out loud; when they reach critical items, they touch the switch or control. For example, to ascertain the landing gear is down, the pilot can read the checklist and hold the gear handle down until there are three green lights. This tactile process of verbally communicating coupled with a physical action are most beneficial. Figure 6-8. The pilot must continually juggle various facets of flight, which can become overwhelming. The ability to prioritize, manage inflight challenges, and digest information makes the pilot a better professional. Air traffic controllers and AFSS are the best external resources during flight. 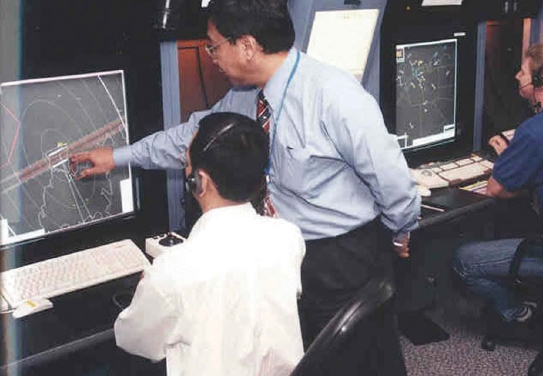 In order to promote the safe, orderly flow of air traffic around airports and along flight routes, the ATC provides pilots with traffic advisories, radar vectors, and assistance in emergency situations. Although it is the PIC’s responsibility to make the flight as safe as possible, a pilot with a problem can request assistance from ATC. [Figure 6-9] For example, if a pilot needs to level off, be given a vector, or decrease speed, ATC assists and becomes integrated as part of the crew. The services provided by ATC can not only decrease pilot workload, but also help pilots make informed inflight decisions. Figure 6-9. Controllers work to make flights as safe as possible. The AFSS are air traffic facilities that provide pilot briefing, en route communications, VFR search and rescue services, assist lost aircraft and aircraft in emergency situations, relay ATC clearances, originate Notices to Airmen (NOTAM), broadcast aviation weather and National Airspace System (NAS) information, receive and process IFR flight plans, and monitor navigational aids (NAVAIDs). In addition, at selected locations, AFSS provide En Route Flight Advisory Service (Flight Watch), issue airport advisories, and advise Customs and Immigration of transborder flights. Selected AFSS in Alaska also provide Transcribed Weather En Route Broadcast (TWEB) recordings and take weather observations. Another external resource available to pilots is the very high frequency (VHF) Direction Finder (VHF/DF). This is one of the common systems that helps pilots without their awareness of its operation. FAA facilities that provide VHF/DF service are identified in the airport/facility directory (A/FD). DF equipment has long been used to locate lost aircraft and to guide aircraft to areas of good weather or to airports. DF instrument approaches may be given to aircraft in a distress or urgent condition. Experience has shown that most emergencies requiring DF assistance involve pilots with little flight experience. With this in mind, DF approach procedures provide maximum flight stability in the approach by using small turns and wings-level descents. 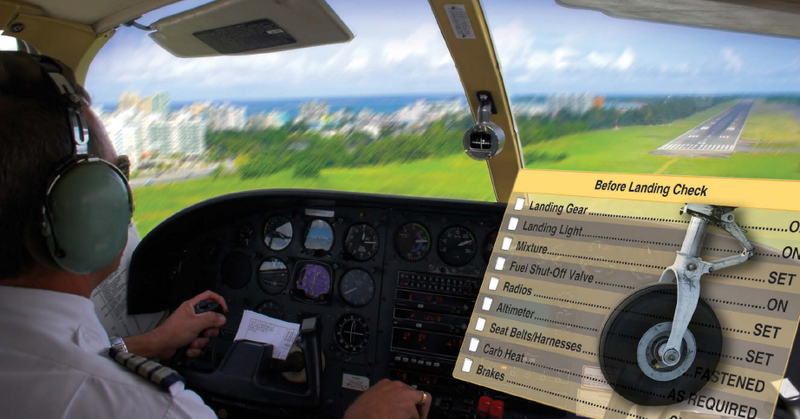 The DF specialist gives the pilot headings to fly and tells the pilot when to begin a descent. If followed, the headings lead the aircraft to a predetermined point such as the DF station or an airport. To become familiar with the procedures and other benefits of DF, pilots are urged to request practice DF guidance and approaches in VFR weather conditions.